COMMENTS: Great pouch! Had to get more and will continue to do so! I finally decided to seal these with my impulse sealer......worked like a charm! Honestly. Very excited about that. COMMENTS: THESE ARE PERFECT FOR SAMPLING BATH SALTS AND HERB PACKS. WILL BE PURCHASING AGAIN. COMMENTS: I fit 3 ounces of bath soak into this package. It's cute. COMMENTS: These bags work great for my facial masks. They hold enough for several applications and give my customers a product with an upscale look. COMMENTS: Very nice & easy to use. Use for facial powder masks for now. COMMENTS: I absolutely love these for my 3 oz bath salt party favors. My go to for simple packaging!! COMMENTS: Great product. Easy to use. Perfect for dry/powder facial masks. COMMENTS: These are good quality pouches. They look like they hold more than one ounce. COMMENTS: Wow... these are pretty small but they are definately the right size for a sample. I was able to get 1oz of bath salt in there and stuck to 1oz. If i added anymore, it would have been hard to seal. COMMENTS: I use these heat seal zip pouches to make single serve bath soaks. They are the perfect size and super easy to fill! I use a flat iron to heat seal the top. COMMENTS: These are a little smaller than I imagined but good quality thick plastic and they sealed up nicely. COMMENTS: I love these they aresuper easy to use. COMMENTS: These pouches are worth their price. I keep a few next to me when I'm making bath bombs- if one breaks I just put the mixture into these pouches and save myself the time and agony of trying to make the bath bomb again. I let my customers know that these are a great way to have a little fizz in the tub without using a whole huge bath bomb. COMMENTS: These are great for product samples of bath salts. I haven't experienced any leakage! They look very professional, however don't stand up very well imho. Otherwise they are great! COMMENTS: I use these to pack facial powders and masks. COMMENTS: I like the fact that I can seal up my facial mask product. They look professional. Add a label and you are set. COMMENTS: I use these for shower tabs and bath powders. They look professional and I love them. COMMENTS: These make great soap sample packaging! And facial mask packets...and so much more! I discovered they were the perfect size for a sample soap, or really anything you want to give a sample of that is to big for the small silver packs. I love the fact I can use them for so many different things and keep my products looking professional. • All the things you can use them for! COMMENTS: This pouch is great for pre-measured powders.I use them for powered masks. Easy to fill. COMMENTS: Easy to fill, easy to seal. They look very professional! This size doesn't really want to stand up because they are very small. Just barely holds .75 oz of dry face mask without getting any into the zipper portion. COMMENTS: Love this packaging! Classy and very easy to heat seal. Adding this to my product line. COMMENTS: These are super easy to use. Sealed with a flat iron after filling. Super simple. COMMENTS: Bought these to make wedding shower favors filled with sugar scrubs, perfect size! COMMENTS: I used these little pouches for the first time with a clay mask kit. I love them! Super easy to seal (I used a flat iron) and an adorable, professional look. COMMENTS: Excellent packaging! Will continue to use in the future! "Heat Seal Zip Pouch 1 oz. " 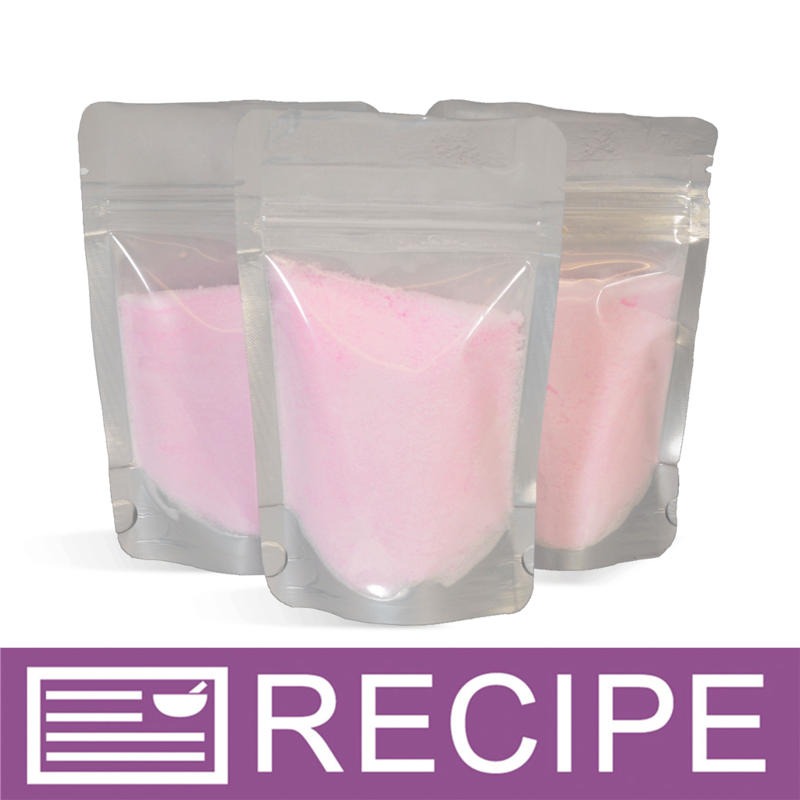 COMMENTS: I have been using these heat seal bags for my bath salts , face mask , milk bath and tea bath products! Perfect for clean and professional looking products! COMMENTS: Just received these and they are perfect for bath salts. "Super professional packaging for a great price"
COMMENTS: I use these little bags to package butters and emulsifying wax in my DIY lotion kits. Super professional look for a great price. They seal quickly easily with a heat sealer or iron. No worries about leaking and keeps products fresh. COMMENTS: Yes, a great pouch for my herbs and bath salts! COMMENTS: Seals easily. Would be useful for a variety of products. COMMENTS: Perfect size for Fairy Dust, Sugar Scrubs, and Bath Salts! "LOVE these bags for bath salts." COMMENTS: I love these bags for bath salts. I make a large jar and then 2oz (by weight) single use pouches. These pouches are perfect. The clear window shows the beautiful product and looks great on the shelf. The tops seal easily, and strongly, with an iron set on low. Just be sure to label before pouring the product! "Perfect size for samples or trail size"
COMMENTS: These work great for large sample sizes or trail sizes. I love them. I use these for bath salts and face powders. 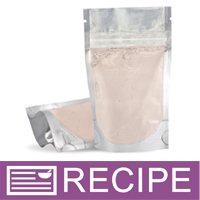 "Heat Seal Zip Pouch: 1 oz. Clear & Silver "
COMMENTS: Good sample size for my scrubs, powdered facials mask, and bath salts. COMMENTS: I use these as a smaller version of our facial mask. The clear plastic has a great appeal to it. COMMENTS: These seal zip pouches are just what i was looking for! Perfect size for fizzie powder! COMMENTS: I use these as a smaller option for my foaming milk bath. I use the larger ones as well. These bags are very versatile. COMMENTS: This is the perfect size for our samples and is exactly what we were looking for. COMMENTS: I use these to package my facial masks that is a mix of dry ingredients. Perfect, I love the fact that you can heat seal them with a household iron and my customers can have an easy mind they their product cannot be tampered with. Will purchase again! 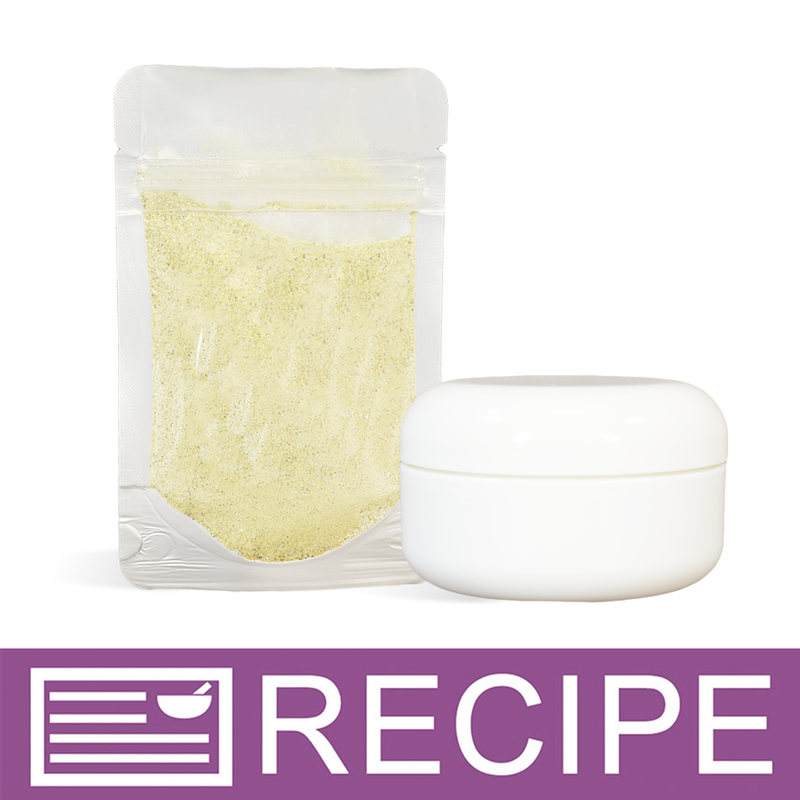 COMMENTS: great for batch salts, candle wax scent crystals, powdered face masks, scrubs, etc! A label fits perfectly on the back silver side. while the clear front showcases the product.customers love the fact that they stand on their own and zipper open and closed. COMMENTS: Perfect size for my soap and bath salt samples! COMMENTS: Well I managed to misplace these to my frustration so I have to order more, based on reviews I decided to purchase these. Cheaper then container samples. COMMENTS: First time I've used heat seal bags. This product could not be any easier to use. COMMENTS: I use this with my Muffin (Petite) Silicone Mold soap samples. The little soaps fit in it perfectly to send as samples with an order. Keeps everything nice and clean. Very upscale looking for samples. COMMENTS: easy to heat seal and adorable little packages. COMMENTS: We use these for our facial clay masks. They are very professional looking. Very easy to fill and we love having the ability to seal them after filling. COMMENTS: This bag held a little over 3 oz of my bath blend. I was also pleased that I was able to seal this bag with my heat gun so that's another option if you don't have the space to iron. COMMENTS: I typically use the 16oz Stand Up Zip Close Pouch for Bath Salts. People asked for samples. This is a perfect sampler for the big kahuna. Please your customers, please your bath salts... yes please! "Love Love and will use again"
COMMENTS: I use them for my face masks and they work extremely well. I really love them! Great size and keeps shipping costs very low. Highly recommended. "these are easy to use and look awesome"
COMMENTS: used these to package a face mask and they turned out great! COMMENTS: These are the perfect size for all my samples! I love that they are clear on the front so the customers can see what's inside, while the heat top lets them know it has not been tampered with. COMMENTS: I use these for our dry facial masks and they're wonderful! I can get enough product (1 -1.5 oz) for my customers to make about 4 facial masks. They look great, very clean and are easy to fill. COMMENTS: I bought these to package clay facial masks. They are very professional-looking and are easy to use. The pouches stand on their own, so I was able to fill them while on the scale to ensure each package has the correct weight of product in them. Once filled, I zipped them shut and used my household iron to seal the top edge. My customers know they are getting a sealed, uncontaminated product. They also like that they can see the actual product through the clear side. I put my label on the silver side. COMMENTS: I was looking for a good package for my facial mask, so I ordered these. I am happy to report that they are of good quality and the zip pouch is a nice touch. COMMENTS: I love these pouches for both my masks as well as sample lotions, they are the perfect sizes. I can put my lotions in these pouches and include them as a free sample with orders, they have been a big hit. COMMENTS: I have already ordered theses bags in 2oz and 16oz, so I guess the 1oz bag should be a part of my collection. I use these bags to hold my clay masks. THey make the perfect sample size. Actually you can get two masks out of this 1oz pouch. They are air tight and the heat seal is added protection. You cant lose with these. COMMENTS: I have been looking for some type of packaging to hold samples of my scrubs. They are easy to use and look great. All my customers love the packaging and the ease of taking them on vacation. I will be ordering more soon as I am already running low. Thanks for carrying this, please keep this in stock. COMMENTS: I use these with my dry face mask powders and have received numerous compliments on the packaging! Perfect! COMMENTS: I used this for a fizzing milk bath and it is perfect! Especially great for including salts or masks into gift baskets! "1oz Heat and seal bags "
COMMENTS: I love these they look very professional and will work perfect for the B&B that I supply to! "These were just in time!" COMMENTS: These little bags saved my life! I had previously purchased a similar size bag from my local craft store and put my clay facials inside the bag. Well as soon as I picked the bag up, the clay was seeping from the seems of the bag! What a disaster! But these bags saved me and I'm still able to provide a quality product, now with the same quality packaging! Thanks WSP! COMMENTS: Great for mini and sample products. COMMENTS: I have had great results with this product..great for samples and other little items. "These bags are just fine"
COMMENTS: They don't leak.If you make sure that there is no residue on the sealing part, you shouldn't have any problems. I've used them for everything from lotion to sugar scrub to body mist refills. No leaking. COMMENTS: I love the 2 oz for the airport. They hold anything you'd want to take in a carry on and won't spill out in your bag. They are also awesome for bath salt samples. COMMENTS: This bag is perfect for sample sizes of bath salts. Zips securely shut and easy to seal. "Used with seeds and aroma beads"
COMMENTS: Oh! These are the cutest, most economical bags! They are just perfect for sealing and display. My customers impressed and I'm happy! COMMENTS: I just love these pouches for samples of lotion and shampoo. My customers can now try a product for at least a week or more. The price is great too! "Is it possible to punch a hole in the top so these hang from a peg?" Staff Answer Yes, there is room at the top to be able to do this. "Are these heat seal pouches recyclable?" "Could an impulse sealer work to seal these bags faster or do you only recommend a flat iron/hair straightener?" Staff Answer You can certainly use an impulse sealer if you have a large quantity of pouches you want to seal. If making smaller batches, a flat iron hair straightener works well. "Can these be used to securely (no leaks) hold liquid like shampoo? If so, would they hold 1 oz of liquid product? " Staff Answer Yes, you can put liquid into these pouches. As stated on the product, you may heat seal this bag (above zip close) with a household iron set on a "low heat" setting. A flat iron hair straightener also works very well. Staff Answer These bags do not contain BPA. "What is the measurement of area under the zip lock and within the crimped sides? For labeling purposes." Staff Answer Labeling area is approximately 2" x 2". "Are these bags made of any metals at all, or are they entirely plastic?" Staff Answer There are no metals in this bag - they are made of mylar. "Could you tell me what plastic these are made from please?" Staff Answer These bags are made of mylar. "What does "thickness 5 mil" means?" Staff Answer This means the thickness of the sides of the pouch are 5 millimeters. "How do you heat seal these?" Staff Answer We recommend using a hot iron. "can you put fragrance oil or essential oil in these zip bags? Thank You Tracy"
I would not put liquid Essential Oils in anything but glass bottles. If you are talking about putting something you have made with FO or EO in these bags they would be great for that. Straight essential oil can eat through plastic or at least wear it away over time. The seal could become compromised and you could end up with a leaking mess. I would not store concentrated FO or EO in these bags, however, if you are talking about a dry product containing EO or FO as an ingredient, that would be fine. "It says 1 oz bags but also says it hold 3 oz of dry materials...which is it 1 oz or 3 oz?" Staff Answer This is a 1 ounce bag that measures inside 2.5" x 3.5" x 1.5". Dry ingredients often weigh less than a liquid or a heavier ingredient, so it can hold up to 3 oz. of dry ingredients. Hello, I use it for clay and it holds 2oz (measured in cup). Could hold more but I didn't want it to look stuffed. Very nice bag! "Could these be used for samples off sugar scrub cubes as an alternative to cello bags?" Yes. As long as the fit in the bag. I have tried these with wax melts, and find hat it works better for loose powder/flakes. However, if you can fit them in, they will work. Staff Answer That's a great idea! Yes, you can use them for samples. Just keep in mind the interior dimensions: 2.5" x 3.5" x 1.5". So when making a sample, make sure they are small enough to fit.